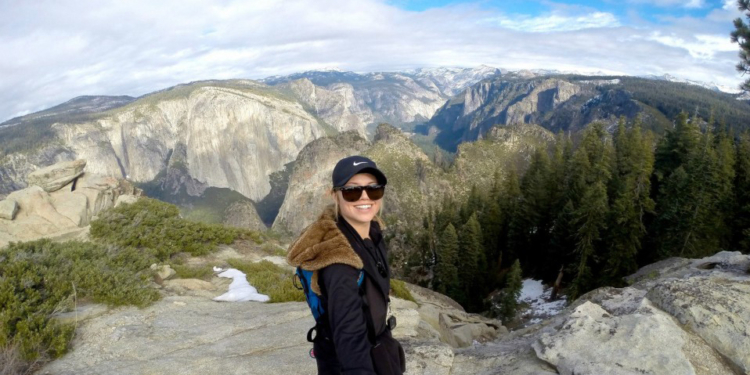 Athird-year student at Biola University and resident of the San Jose Bay Area, Jocelyn Horsager’s winter outdoor experience was limited to shredding slopes and kicking back in a cabin. But despite her anxieties regarding the winter camping course, she found herself pleasantly surprised by each day’s experiences. 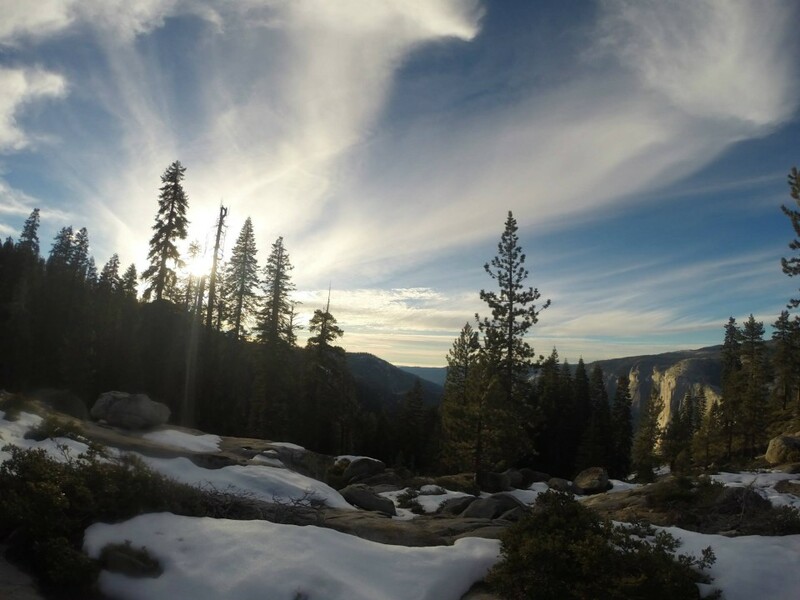 And when we weren’t calling her back from leaning over the edge of a cliff to snap some killer GoPro fisheye panoramas, she was being followed by a Yosemite-native coyote with a peculiar taste for her foam sleeping pad. 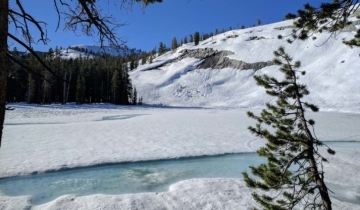 On January 15th, members of the Summit Adventure and Biola University communities embarked on a four-day winter camping excursion in the Yosemite wilderness. At the end of the trip, Writing/Social Media Intern Jennifer Boudreau sat down with course participant Jocelyn Horsager to ask about her personal experience. What were you most excited about for this trip? Was there anything you were more nervous about, or just not looking forward to? So, you said you wanted to try something new. 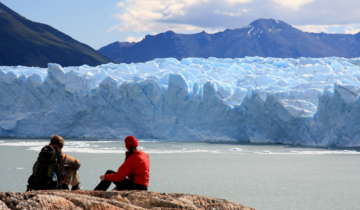 Was there a specific ‘adventure goal’ you had for this trip? What was the ‘high’ of the trip, and what was the ‘low’ of the trip? 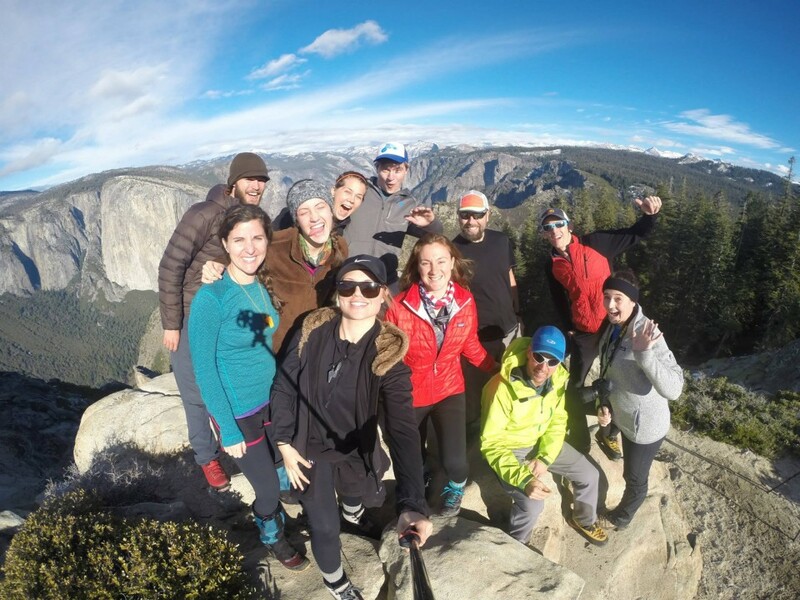 “So the ‘high’ of the trip would be that I was able to have a really cool experience with the people I met and also see Yosemite, because I’ve only seen the valley [floor]… I hadn’t hiked anywhere, until this time… And it was so incredible just to sit there and look at God’s creation with other people who are believers. That was definitely a ‘high.’ And to be with people who are also wanting to try new things and learn together. “A ‘low’ would be that [eleven-hour cross-country] hike. Not going to lie, it was such a mental [challenge]… The first part was totally fine, I was all for it, and then right when snow got in my boots, and when that walk just didn’t end, that was when I was about to break, internally. For sure. What was something that stood out to you on the trail?